If only a well attended meeting was as simple as “plan it and they will come.” While there’s no magic formula for sky-high registration numbers, there are a few simple things you can do to drive attendance. Here are five to get you started and planning tips to make your job easier. #1: Make it worth it. Our apologies for stating the obvious, but whether your target audience is full of 30-somethings or Boomers ready for retirement, content is king. Younger people need to be convinced to leave their younger children to attend your meeting. And if the nest is empty for those in their 50s on up, they still expect a clear answer to “why am I here?” in order to make it worth leaving their other responsibilities. “Probably every meeting planner has heard about those who put more time into choosing the band than into planning the meeting itself,” offers David Olivares, meetings sales manager at Monona Terrace. “They want their attendees to have a good time, and understandably so, but if the best part of the meeting was the evening festivities, it’s unlikely that people would disrupt their routines to come back next year,” he says. Planning tip: Focus on meaningful content that’s worth leaving home for. Flashy entertainment and bells and whistles are fine, but only as extras. #2: Put word-of-mouth to work. Not social media, but actual old-fashioned word-of-mouth. How? By giving people a voice in the first place. Jonah Berger, bestselling author of Contagious: Why Things Catch On, said in a Convene article* that it makes sense to consider “mechanisms that allow people to vote” on how the event takes shape. Ideas include conducting a poll on which session to feature on the biggest stage or by inviting comments on the agenda. Once people feel personally involved in the upcoming meeting they’re more likely to tell their colleagues why they’re excited to attend. Planning tip: Involve your target audience members before the event to help them feel connected to it. Once they do, they become your advocates. #3: Use Facebook as a powerful tool. Creating a Facebook page for your event helps people get excited about what’s to come, but Facebook can also help in additional ways. According to the social media powerhouse, 60 percent of people discover events through Facebook’s news feed, so creating an “event” makes sense. Also consider advertising on Facebook, which allows you to target your demographic quite specifically. Planning tip: Click on Facebook’s “event” icon for directions on how to set up an event. Also click “promote” to learn more about advertising. #4: Ask your speakers to promote your event. “Your speakers are as interested in a successful event as you are, so ask them to help you promote it,” advises Olivares. “Many speakers have their own websites, blogs or YouTube followers, so ask them to talk you up. Most are more than happy to,” he says. Planning tip: Provide your speakers with talking points about your event and ask them to help you ensure good attendance by promoting it through their usual channels. Also ask speakers to contribute articles to your newsletter or blog to pre-promote their topics. #5: Select a destination that favors outdoor activities. Your location doesn’t need to be exotic—and in fact shouldn’t be because you want it easily accessible—but the environment you select should tempt people to get outside and explore. Everyone, no matter their age, wants rejuvenating down time. Lakes, beautiful views and strollable downtowns all contribute to a memorable experience outside of the meeting. Planning tip: Provide activities suggestions to your attendees before the event and ask people to suggest their own ideas on your event’s Facebook page. 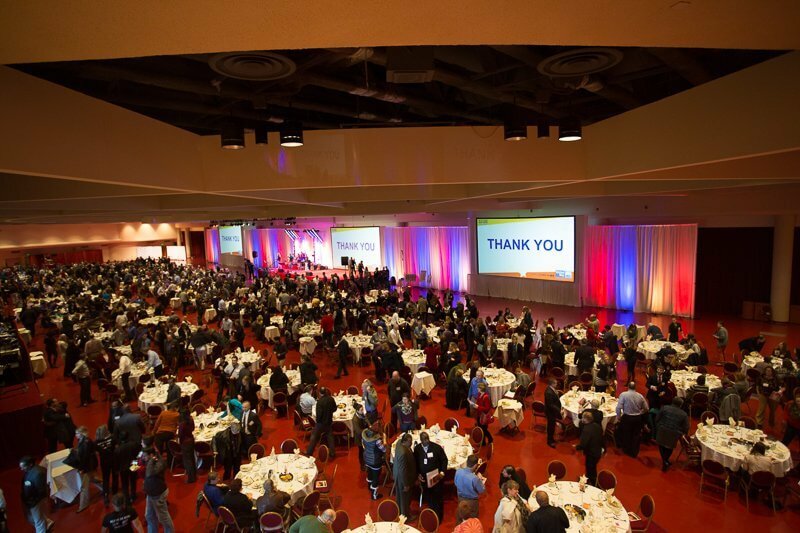 Want to learn more about planning a meeting at Monona Terrace? Contact David Olivares, meeting sales manager, at dolivares@mononaterrace.com or 608-261-4018.